There is a new brouhaha stirring among civil libertarians and Islamic organizations in light of the recent Associated Press story regarding the working relationship between the NYPD and the CIA. The article focused on the Intelligence Division of the NYPD and the deputy commissioner who runs it. David Cohen is a former career employee of the Central Intelligence Agency who was appointed by Commissioner Ray Kelly in 2002. Terms like "rakers" and "mosque crawlers" were bantered about painting a picture of unrestrained spying on the citizenry by the government. The authors, Adam Goldman and Matt Apuzzo, described a purported super-secret section of the Intelligence Division called the "Demographics Unit" whose responsibility was to send undercover officers into predominantly Muslim neighborhoods and gather information by observing the neighborhood. Immediately following story's release, several spokespersons for the Council on American Islamic Affairs (CAIR), and the Islamic Leadership Council voiced their outrage at what they termed "profiling." CAIR staff attorney Gadeir Abbas went so far as to call on the Justice Department and the Senate Intelligence Committee to investigate the NYPD. It was not too long ago that these same organizations were accusing the police of entrapment and the use of informants in several thwarted terrorist plots, such as "the Bronx Four" and the "Christmas Tree Bomber" in Portland. As the former Deputy Inspector General of the Criminal Intelligence Division in New York State prisons, I was assigned to work in the NYPD Intelligence Division from 2002-05. In all of my time there, working on numerous cases regarding terrorism and homegrown radicalization, I never heard anyone use the terms "rakers" or "crawlers" when describing human intelligence gathering. In recent conversations with former colleagues who also worked in the Intelligence Division, none of us could recall ever seeing the "Demographics Unit." So what is true in the article? Fact: There was, after 9-11, a need for all law enforcement agencies to adapt to a new methodology when it came to dealing with the issue of terrorism. There was also a need for the intelligence community to recognize the value of law enforcement's contribution in the war on terrorism. The melding of these two was on a larger scale than previous endeavors although not a novel concept. In the 1980s, my office worked with intelligence agencies in the case of Edwin P. Wilson, the rogue CIA officer who was accused of selling explosives to Libya. Although Wilson's case regarding the explosives was overturned, he was convicted of conspiring to murder the federal prosecutors in that case based on the evidence provided. There is a vast difference between obtaining evidence and gathering intelligence. And that is where the understanding must take place. In order for evidence to be useful in any prosecution, it must be admissible. In order to be admissible, it must be legally obtained. John Cutter, former Deputy Chief of NYPD, articulated that distinction in the AP article: "Cutter said he and other uniformed officers had to tell Cohen, no, we can't just slip into someone's apartment without a warrant. No, we can't just conduct a search. The rules for policing are different." On the other hand, the rules for information gathering, analysis, and dissemination also are different. That does not mean that the process is nefarious, or something to be feared as some sort of Big Brother spying on the masses agenda. The CIA annually publishes a "World Fact Book." According to the CIA website, it "provides information on the history, people, government, economy, geography, communications, transportation, military, and transnational issues for 267 world entities." It is a useful, informative tool for understanding the nations and the cultures of the world. No one decries that civil rights were violated to obtain and collate this data. Police departments throughout the country use mapping to understand and combat crime effectively in their cities. The New York State Department of Corrections annually produces a "Report of Foreign Born Inmates," detailing nationality, immigration status, crime of commitment, etc. Is this profiling? I think not. Concerns that are legitimate should be addressed. The Handschu decision, an agreement between the NYPD, the plaintiffs, and approved by the federal district court, established guidelines for police in conducting investigations or gathering intelligence on political or religious organizations. 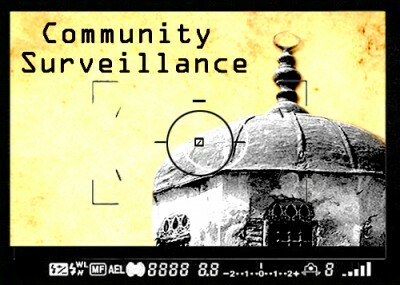 Its requirements are still very much a part of any decision-making by the NYPD when it comes to surveillance of political or religious organizations. Outrageous claims of civil rights violations should be put in their proper context. in 10 years. It is the dedication, hard work and partnership of men and women who work in the law enforcement and intelligence community. Police shouldn't be spooks in the Intelligence Community w/out Intelligence degrees! Well, first off the CIA was issued countless of executive orders such as EO 12333, for conducting intelligence activities, that was passed by the President of the United States, National Security Counsil, Senate, Congress, Joint Chiefs of Staff, and The Director of National Intelligence for the Intelligence Community. But, police officers aren't Intelligence Secret Agents, and they shouldn't try to be like CIA personel whom specializes in Foreign Affairs and when their activities are dangled in domestic affairs, things get complicated because CIA agents are not police officers who need a warrant to apprehend a fugitive, they're Spies and assassins for the U.S. Government, not local PD that aim to bulley people or try to intimidate U.S. citizens, but if you ask me, I don't mind if the NYCPD has a larger budget to buy new and better equipment and to pay for more training to help their personel apprehend their terrorist threats in their own city; but it shouldn't even be the CIA or the NYCPD to monitor CAIR, because it should be Homeland Security or the FBI, or maybe the NSA! But, personally I feel that Homeland Security with most police departments aren't adequate enough, to be emplemented in the spook field; because they're not submersible enough because they aren't trained to be that way, like CIA, FBI, NSA personel. But, once CAIR has more members whom are also contacts with GIA, GSPC, AQAP, AQIM, HAMAS, Hizbullah, Hezbollah, or any aid from Los Zetas, then CIA will close the Gap! Then things should be even more discrete and should remain in the shadows, and we'll see more dead terrorist leaders and their followers killed from Strategic drone strikes on the news because of Central Intelligence Agency's experience and expertise in dangling secret agents in today's present web of covert ops in "The Looking Glass War" against terrorism.